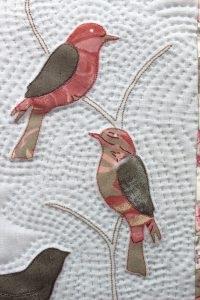 Here are some close ups of the hanging so you can see how it went along the way. I really enjoyed doing the organic echo quilting, just gently meandering around the shapes in a very leisurely way, and as I got out to the borders, I decide that I would just continue to stitch into the border to the very edges of the tiny quilt. 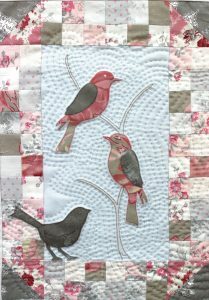 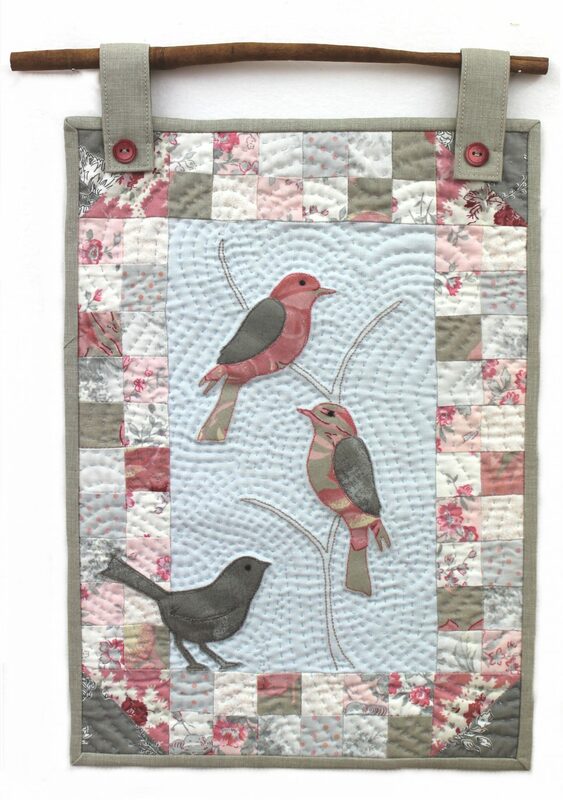 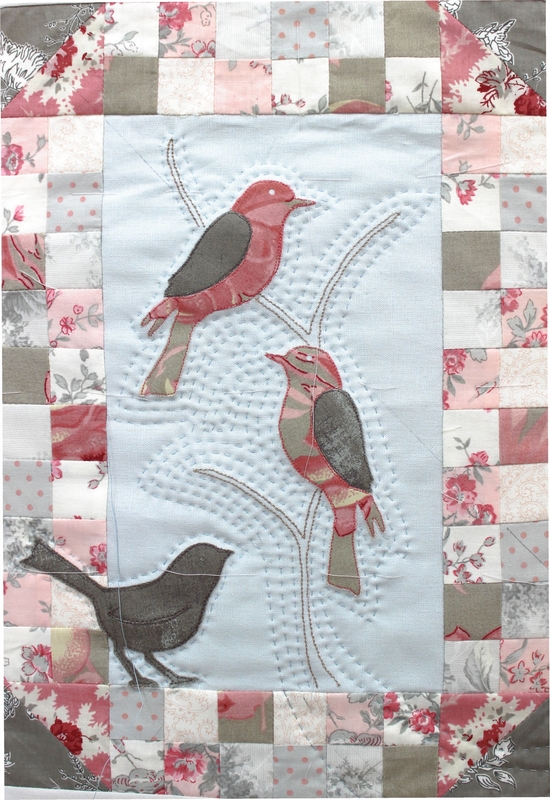 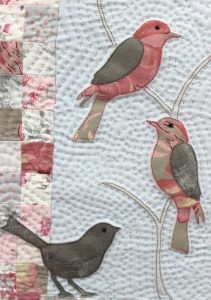 The squares were strip pieced, the branch machine sewn using triple stitch for a bit of weight, and the birds, being so tiny, well after much thought, I decided to anchor them with a tiny machine running stitch.